When most people think of basketball courts, they picture a rectangle shaped layout with a scoreboard, some lines on the ground and a hoop at each end. That’s all there is to it…right? Not quite! In fact there are many incredible courts out there, some of which have meant a great deal for the history and evolution of basketball. 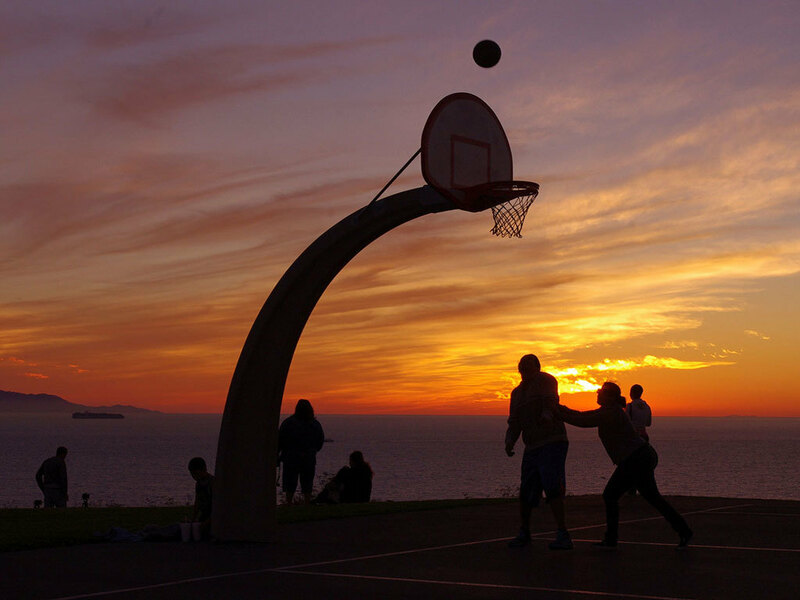 We’ve curated a list of 10 of the most unique basketball courts from around the globe below. While this might not be the most functional court out there, it’s one of the most imaginative ones we’ve come across so far. Looking more like the surface of an alien planet, this court is comprised of a series of mounds and lights, making it almost impossible to play on. If you’re looking to go end to end, this may not be the court for you, but there is no denying the unique beauty of it. It is difficult to play basketball when you live on a lake, but the residents of the floating village of Chong Khneas in Cambodia have come up with a unique solution. This is one of only a few floating basketball courts in the world, and it allows the local residents, who primarily live in floating homes, to enjoy playing basketball against all odds. 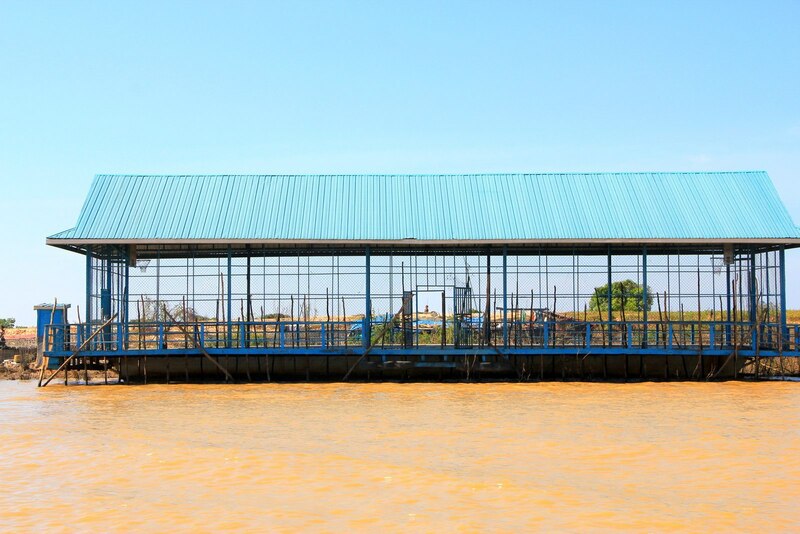 In addition to the floating basketball court, the village has also has floating: pig farms, schools, community markets, general stores, churches, and Buddhist temples! 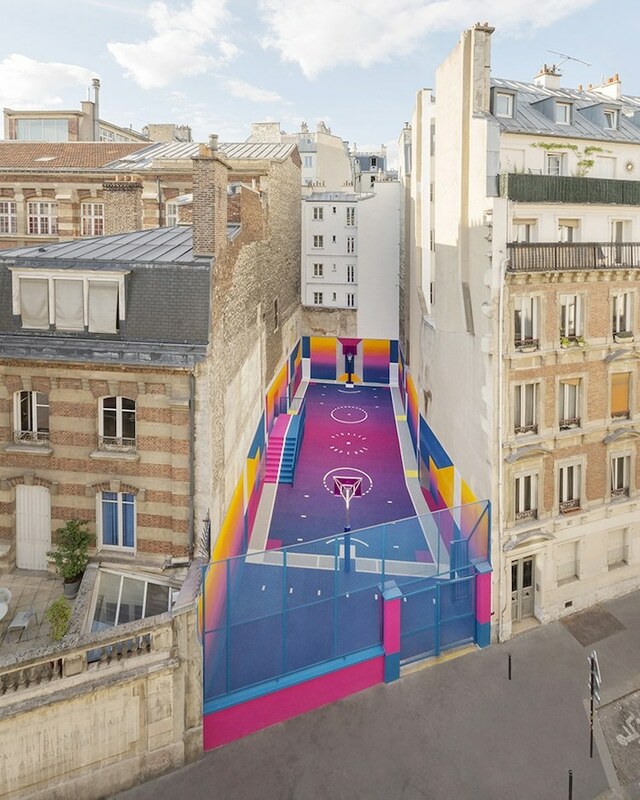 This boldly painted basketball court sits tightly tucked in between two city buildings in France. 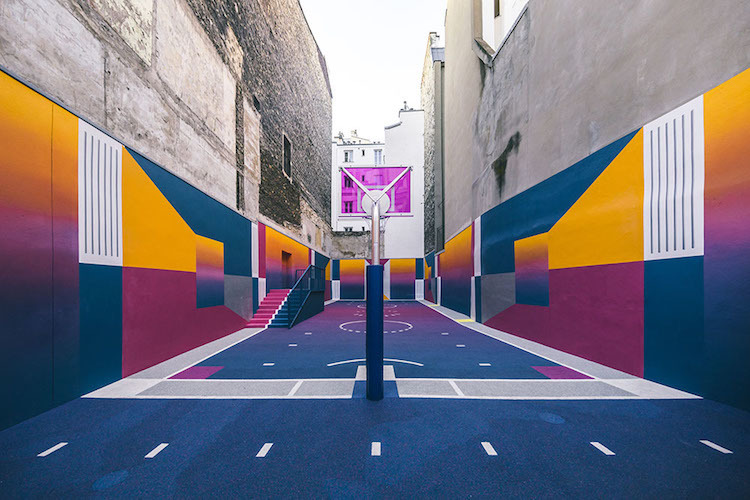 Located in the 9th arrondissement of Paris, this court was created as a partnership between the French design firm Ill Studios and Nike, and was inspired by the 1930’s oil painting ‘Sportsmen’, by artist Kasimir Malevic. This is a great example of a space that blurs the lines between art and sport - making this basketball court a cultural phenomenon. 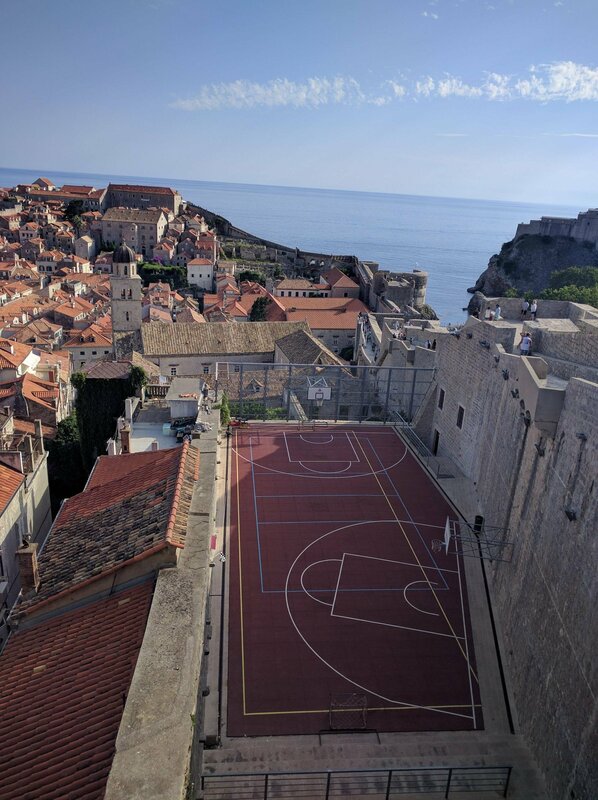 Positioned above the historic city of Dubrovnik, this is an example of how a conventional basketball court can be transformed by its surroundings. Nestled in between the terra-cotta roofs of the city and with views of the Asiatic Sea, this court is bound to create memories that last for life! 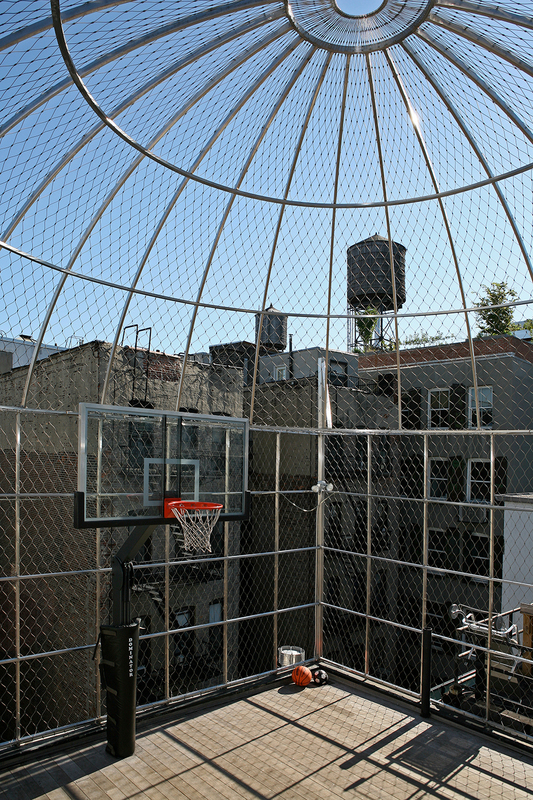 Located in New Yorks ‘Little Italy', this basketball court is positioned on the roof a townhouse. 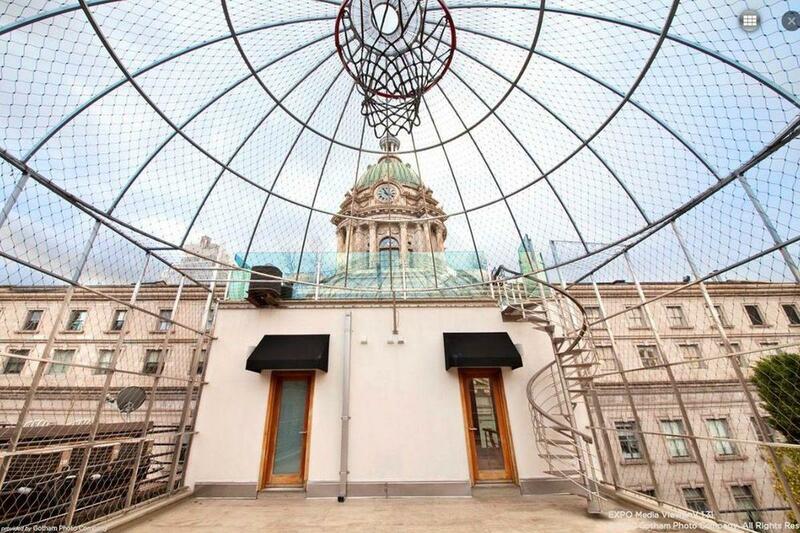 Housed within an open-air dome fence, this court is the creation of Courtney and Robert Novogratz, and has a spectacular view overlooking the former New York City Police Headquarters. This is another example of a court that blends beauty with functionality. This full-sized court sits right on the coastline of the Pacific Ocean, in San Pedro. With panoramic views of the ocean and Santa Catalina Island, it is easy to see why this court was briefly featured in the 1998 Spike Lee movie, He Got Game. 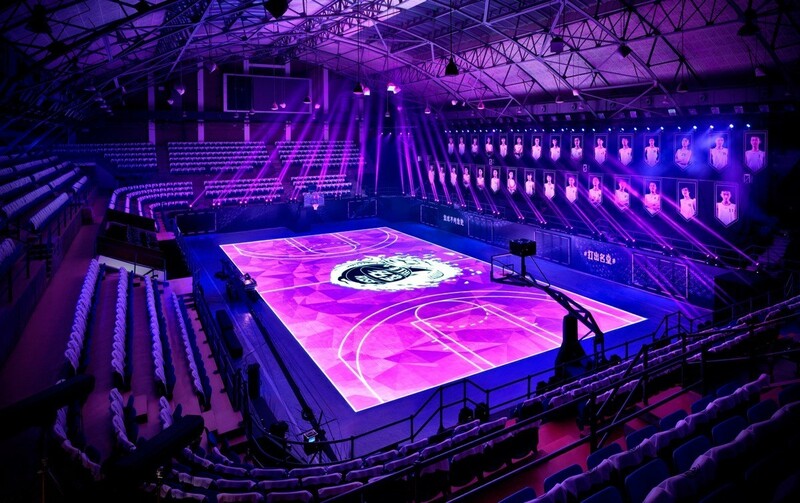 This futuristic space is the world’s first full-sized LED basketball court. On this fully interactive court, players wear special armbands that not only track their motion, but also allow the LED screens to react to their movements. In addition to the games, the screens can run training drills during practice, that give the players visual cues such as where to run or stand. This may very well be a sign of where basketball courts are heading. 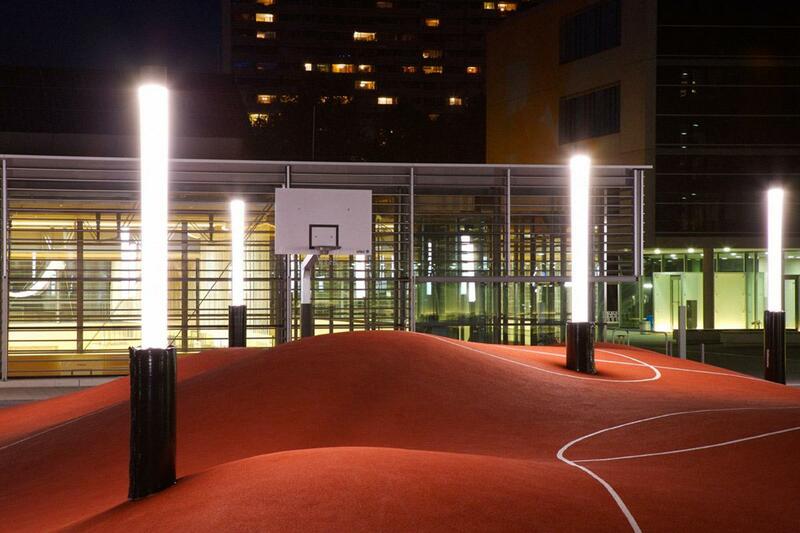 While this basketball court looks like its taken straight from the movie ‘Tron’, it’s not all for show. The floor has been built using reinforced glass panels embedded with lighting elements, which means the surface can effectively be turned into one big screen. The lights that make up the lines of the court can be moved and changed, transforming this otherwise simple basketball court into a multi-purpose arena. 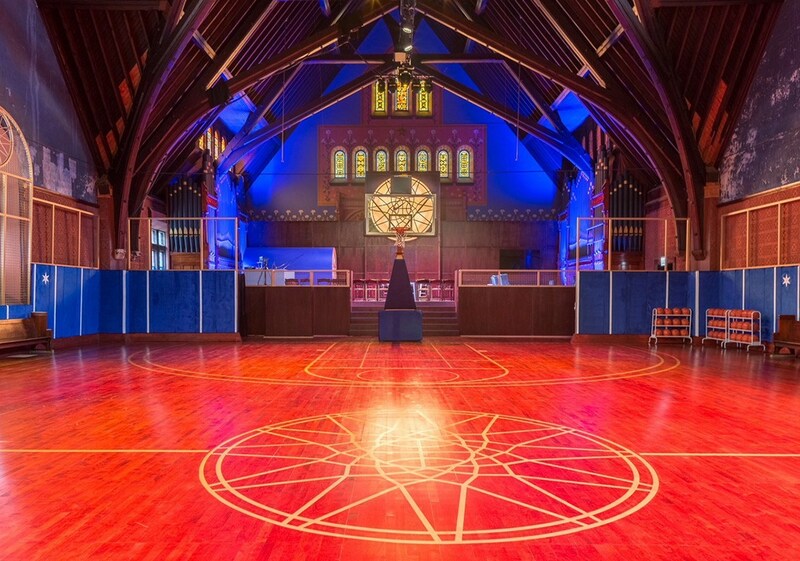 As a nod to the almost religious relationship Chicago has with the game of basketball, this court has been built inside the Church of Epiphany, which dates back to 1885. A state-of-the-art facility built by Nike, this cultural hub (complete with full change rooms and a gym) also facilitates youth training programs, summer camps and interactive workshops with pro-athletes. The final court on our list takes us to the very birthplace of basketball. 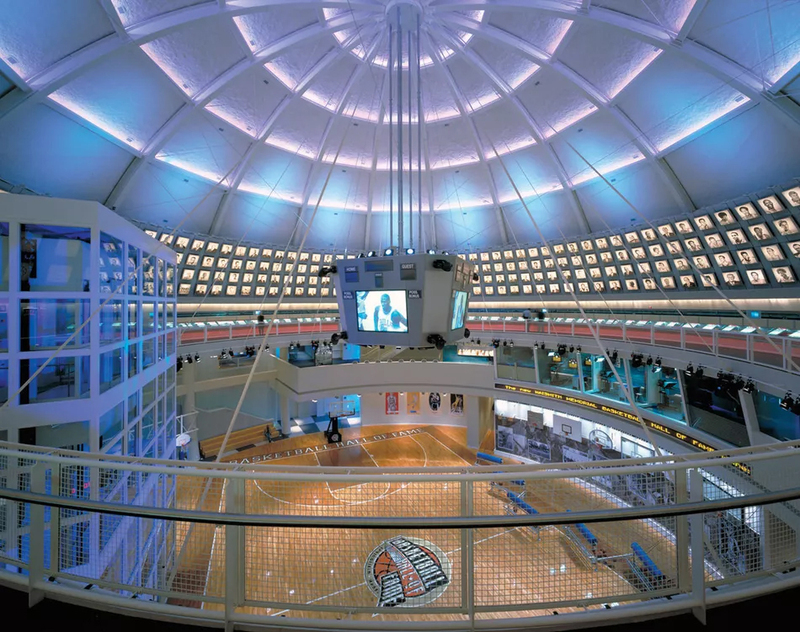 This impressive basketball court is located inside the Basketball Hall of Fame, in Springfield, Massachusetts. The $45 million, 80,000-square-foot facility not only houses the full-size ‘Center Court’, but also has three theatres, interactive kiosks, a Subway restaurant and a myriad of basketball memorabilia and artefacts. This is definitely a must for any hard-core basketball fan.